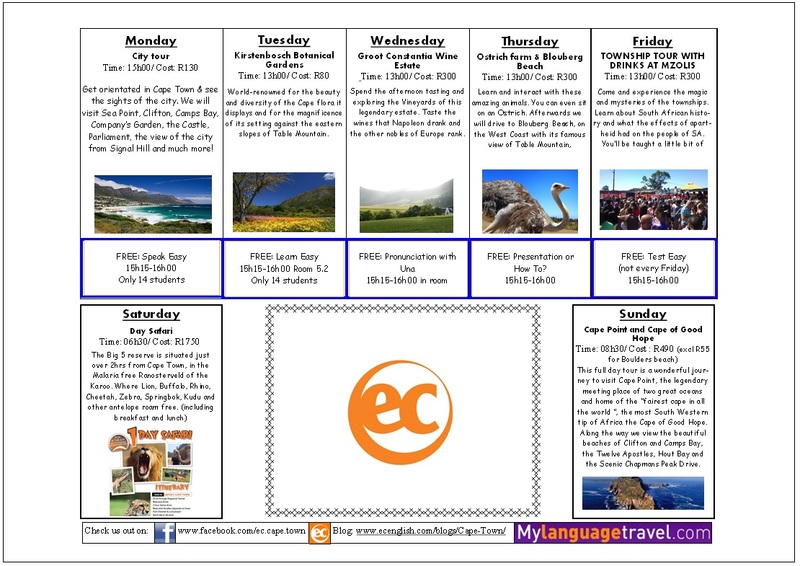 The newest What’s on Guide of our English school in Cape Town is available now. 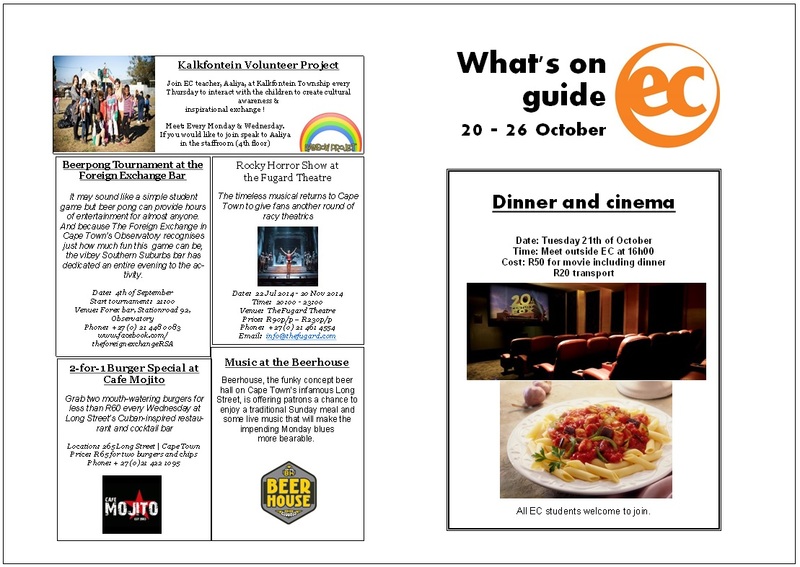 Besides English Courses in Cape Town, our English Language School gives EC students the opportunity to go out for dinner and go to the movies on Tuesday the 21st of October. Visit Thomas on the 5th floor if you would like to receive more information about this activity.